Wood Carving Pneumatic Chisel - 1 1/8"
Home → → Wood Carving Pneumatic Chisel - 1 1/8"
Used with a pneumatic handpiece, this straight chisel has a 1/2" shank and a 1 1/8" sweep. Saves time in reducing a rough wood to a basic geometric shape for detail work. Approximate length - 8 1/4". 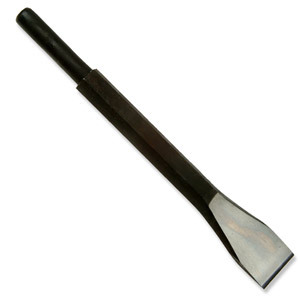 Wood Carving Pneumatic Gouge - 1 1/8"